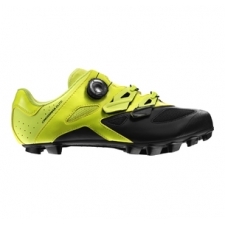 The Energy Grip Terra Outsole, combined with Contagrip®, delivers excellent grip in all terrains and conditions. Index Energy Transfer: 40 The Contagrip® offers the very best in traction and durability in all terrains. 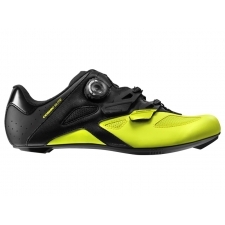 The Mavic Ergo Dial QR on top of the foot offers strong tightening with a micro adjustment with a quick and easy release The two functional aramid straps offer precise and easy adjustment The Endofi Tongue hugs the foot in just the right places for maximum comfort. 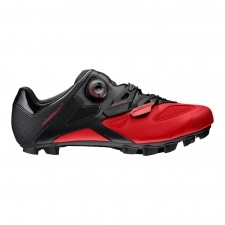 This Crossmax Elite shoe is designed specifically for cross-country riding, with an Energy Grip Terra outsole for good power transfer through the pedals, and protective Contragrip® studs with a reinforced toe cap to help when your feet hit the ground. The Crossmax Elite is equipped with the Mavic Ergo Dial QR which offers a strong tightening thanks to the micro adjustment. For comfort your feet are supported by our Ortholite® inner sole and held tight by an Ratchet strap, which is quick and accurate to adjust. 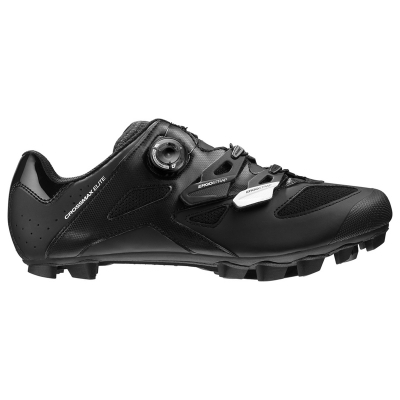 Buy your Mavic Crossmax Elite MTB Shoe - Black/Black from Revel Outdoors.